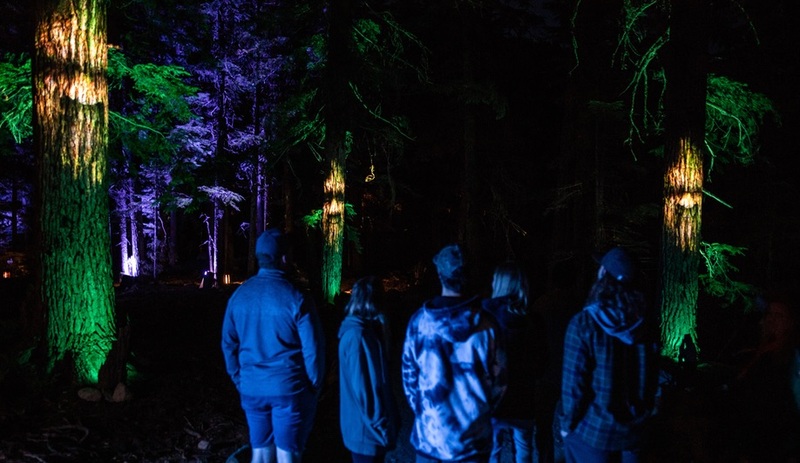 Montreal’s Moment Factory lights up an old-growth forest in Whistler, B.C., with Vallea Lumina, the latest in its international night walks series. Montreal’s top multimedia studio, Moment Factory, has a way with light that is well established. 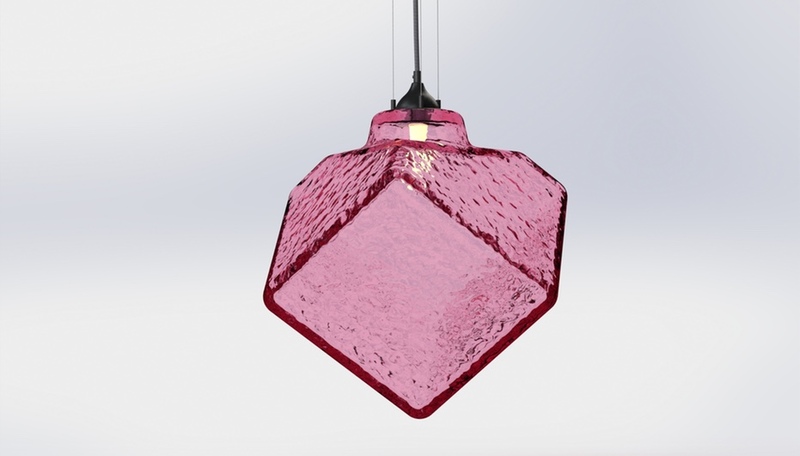 The firm is known not only for its audio/video spectaculars that are part of stage shows for acts such as Arcade Fire, the Red Hot Chili Peppers, Madonna and Nine Inch Nails, but also for its architectural interventions. The studio’s interactive light installation on the Jacques Cartier Bridge, part of Montreal’s 375th birthday celebrations won an AZ Award earlier this year. And the Tom Bradley International Terminal at LAX features significant video and audio installations from the team, spread over seven locations throughout the building. 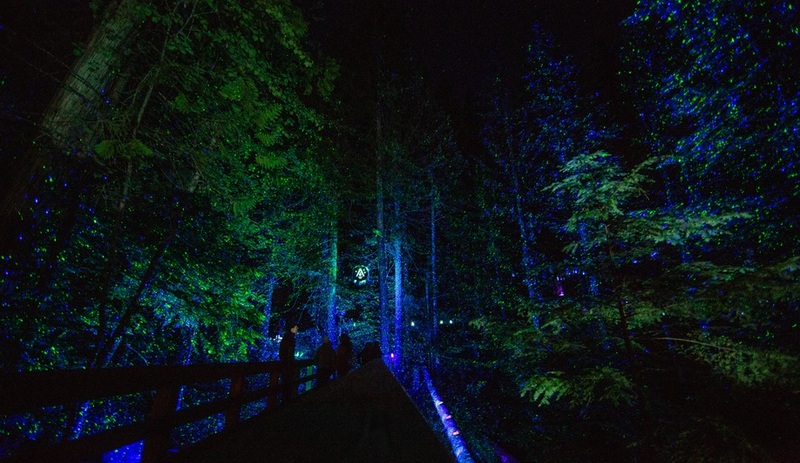 The studio’s Lumina night walks have been dazzling audiences since launching in Coaticook, Quebec, in 2014 with Forest Lumina. 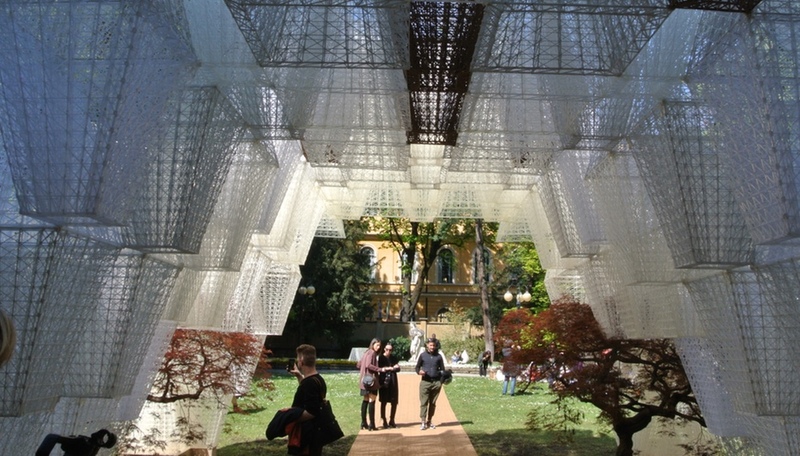 These immersive experiences combine technology with nature to create unique stories that visitors become a part of, as they work their way through the installation. 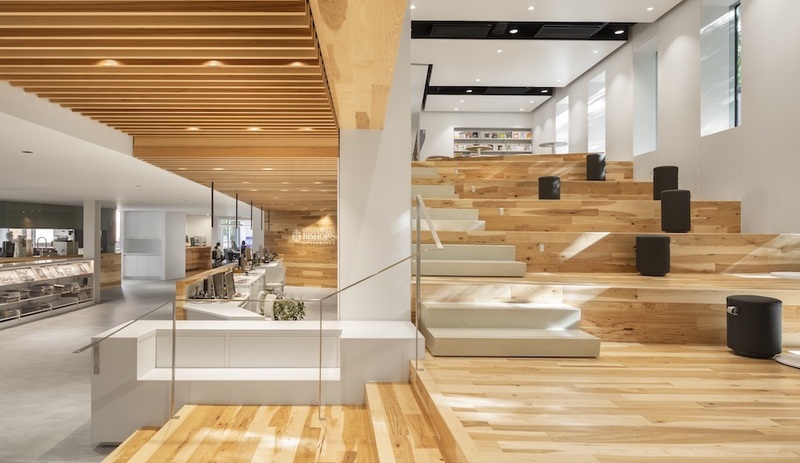 With eight Lumina locations currently installed around the world, including in Japan and Singapore, it was time to expand further into Canada. 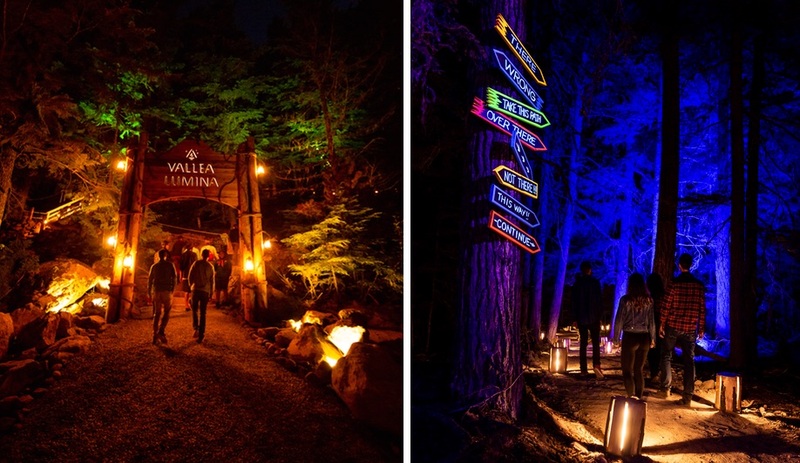 This July marked the opening of Vallea Lumina, in Whistler, B.C. 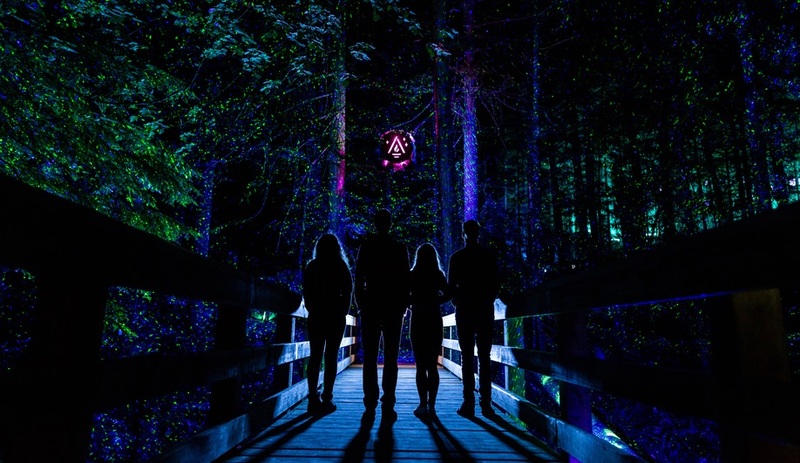 For the first West Coast Lumina, Moment Factory teamed up with the Adventure Group to create a dramatic journey that follows a 1.4-kilometre path through a forest on Cougar Mountain, just a few minutes north of Whistler. 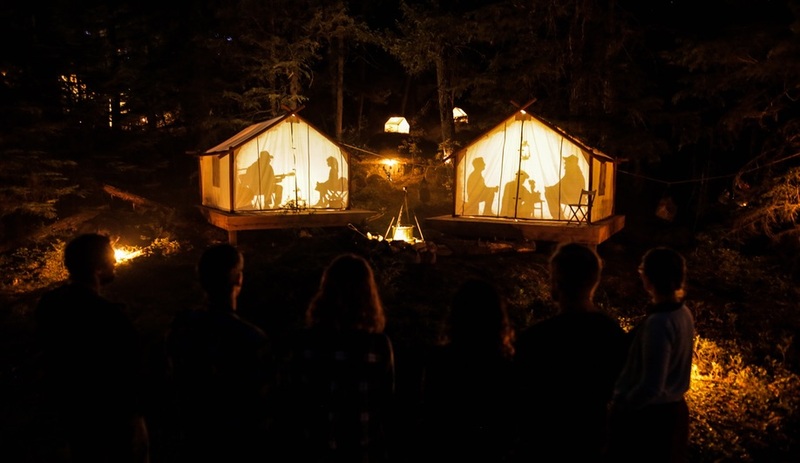 The experience uses light, sounds, video projections and special effects to tell the story of a young girl and her grandfather who disappeared on the trail decades ago, while on a search for a secret valley. 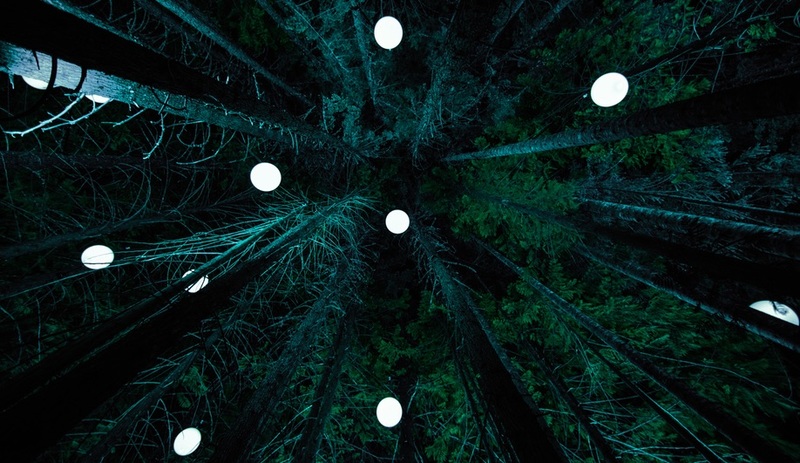 A series of clues – including ephemeral messages written in “stardust” – leads a captive audience through the trees. 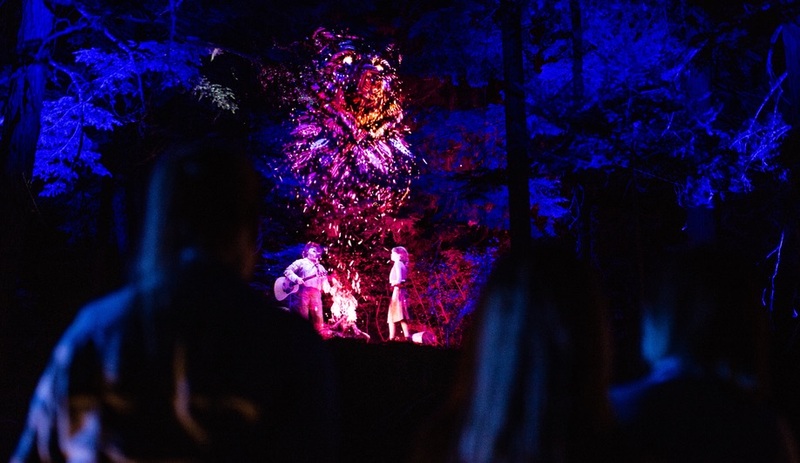 Visitors can listen in on the story’s main characters as they discuss their plan to find the mythical valley, and interact with forest creatures sculpted from light. 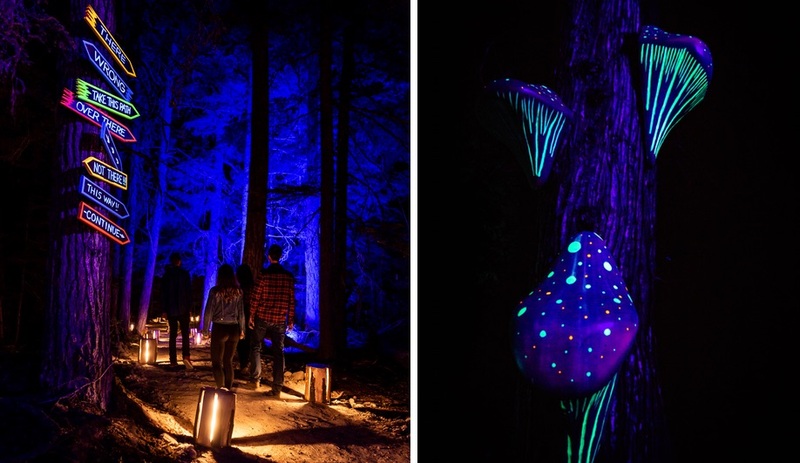 A walk in the woods becomes a Fantasia-like experience, with talking trees, fish flying through the sky, and glowing fungi springing from the trees. 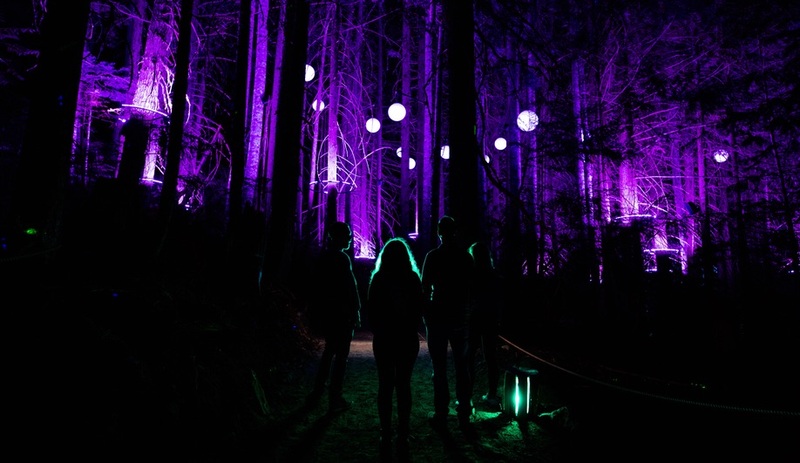 Exploiting the pitch black conditions in the old-growth forest, the show also includes a simulation of the Northern Lights, and a floating sea of yellow and orange lanterns. 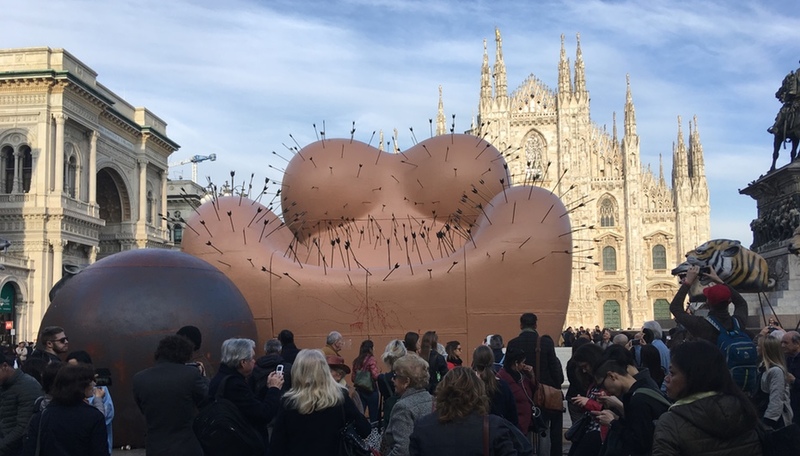 It took ten months to plan and conceive the multimedia course; the installation process took two months. 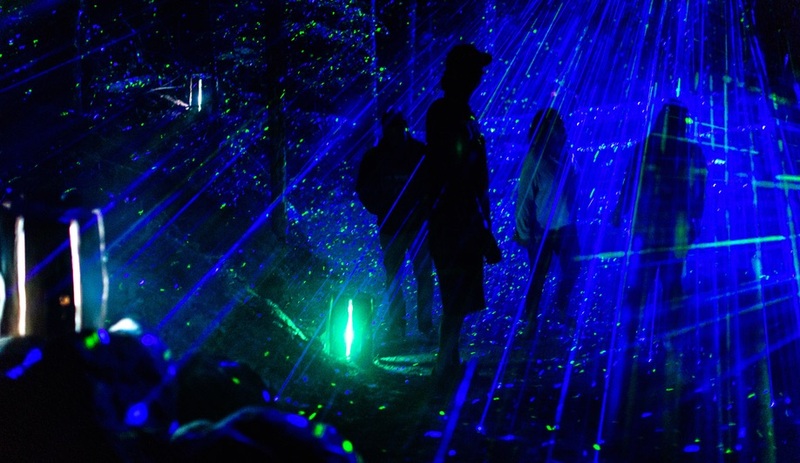 Like Moment Factory’s other night walks, Vallea Lumina is a unique experience that takes inspiration from the site, as well as local culture. 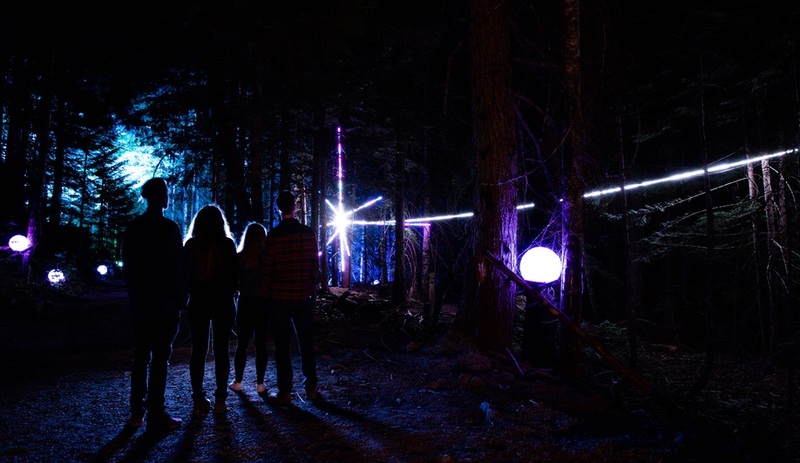 Showing the familiar landscape in a whole new light, as it were, this Lumina adventure is as appealing to residents as it is to the swarms of tourists that are a year-round presence in Whistler. It runs nightly until October 15.